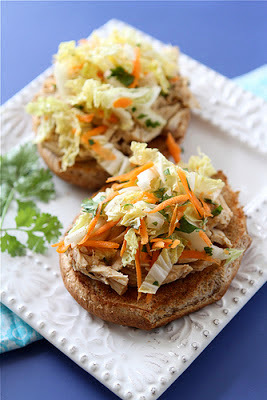 The cooling Asian Slaw makes these Slow Cooker Hoisin Shredded Chicken Sandwiches perfect for summer. 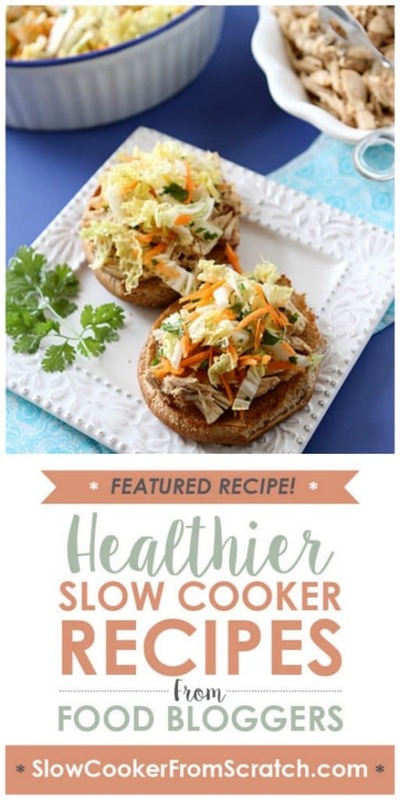 There’s a lot to love about these Slow Cooker Hoisin Shredded Chicken Sandwiches with Asian Slaw from Cookin’ Canuck, like the delicious-sounding chicken flavored with Hoisin sauce and an assortment of Asian ingredients and the way the chicken cooks in a few hours without heating up the house. But if I had to pick one thing that attracted me to this recipe, it would be the Asian slaw. Any type of slaw is a hit with my tastebuds, but the idea of a cooling slaw on top of warm chicken sounds to me like a combo that would make a perfect Summer Dinner. Get the Complete Recipe for Slow Cooker Hoisin Shredded Chicken Sandwiches with Asian Slaw from Cookin’ Canuck. I love this! Similar to my Rhode Island version, the combination of shredded chicken and crunchy cole slaw is irresistible.